In the face of some stiff competition, January's Flop of the Month ended up at the Duke of Edinburgh's car door as he issued a late, unsatisfactory apology that threatens to thwart a recent Royal reputational renaissance. In a month of reputational missteps - from (supposedly staunch patriot) James Dyson shifting his HQ to Singapore, to Iceland failing to clear its shelves of products containing palm oil - the Royal Family, or rather Prince Philip, was most spectacularly upended. 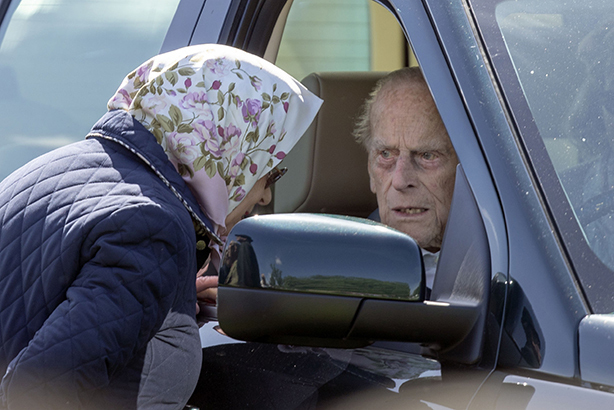 We are referring, of course, to the 97-year-old Duke of Edinburgh’s upending of his Land Rover near Sandringham House; moreover, to the time-lag in his apology to the poor women on the receiving end of the crash, one of whom broke her wrist. Even worse, a few days following the accident the Duke was pictured driving a replacement vehicle without wearing a seatbelt. The police were said to ‘have spoken to’ Prince Philip. Were we supposed to be satisfied with that? The accident took place on 17 January. On the news bulletins that evening, the early reports suggested that no-one was hurt in the collision. But it later transpired that the Duke was indeed the cause of the accident; that an occupant of the other vehicle, Emma Fairweather, had broken her wrist; and that there was a baby in the back of her vehicle. Fairweather later spoke to a number of national media, complaining that she had received no communication from Sandringham House in the days following her ‘shocking experience’. It wasn’t until 27 January that we discovered the Duke had written a letter to the victims, apologising. It appeared to be dated 21 January. Since 1997 and the death of Diana, the Royal Family gradually built a formidable communications function and improved its reputation dramatically. Even more shocking, then, that the Royal Household took so long to accept blame and apologise for the accident. This, combined with the revelations that the ageing Duke is still driving – and sometimes without a seatbelt – suggests a return to former aloofness from the public.